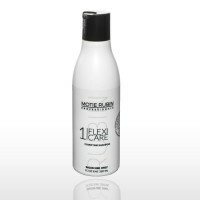 1.Motie Rubin Flexi Care SLS Free Shampoo, A sulfate-free shampoo that renews the moisture of the hair, preserving and nourishing it from root-to-tip. This gentle shampoo for color-treated hair, is ideal for use post-color, as well as for chemically treated (straightened, colored or permed) and chlorinated hair. The SLS Free Shampoo is a mild formula that contains a natural source of Keratin which repairs hair from the inside out. Pro-vitamin B5 is added to rejuvenate hair while active proteins and amino acids are used to improve the texture and add strength. 2. 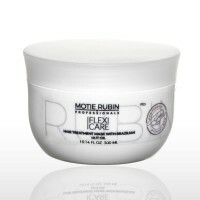 Motie Rubin Flexi Care Treatment Mask with Brazilian Nut Oil The mask repairs dry and damaged hair and helps detangle knots. 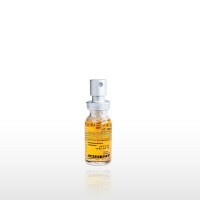 It contains Brazilian Nut Oil , and Jojoba Oil for shine, anti-oxidants and to promote skin regeneration and hair growth. This formula wraps hair in a renewed protective coating, your hair and creates a soft, silkier feel for a greater length of time. 3. Motie Rubin Double Kick two-phase hair conditioning treatment, Enriched by Brazilian Nut Oil, gives brilliance, volume and softness, Its formula is a nutrient concentrate for hair and contains keratin. This heat activated, leave-in conditioner makes the hair smooth, hydrated, and frizz-free, cutting the blow out time in half.